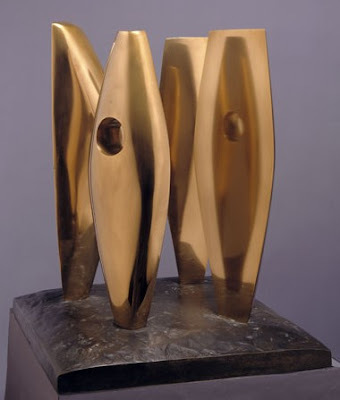 Barbara Hepworth, Quartet – Arthroplasty, 1948. Oil and pencil on board. In 1947 it was suggested to me that I might be interested in watching an operation in a hospital. 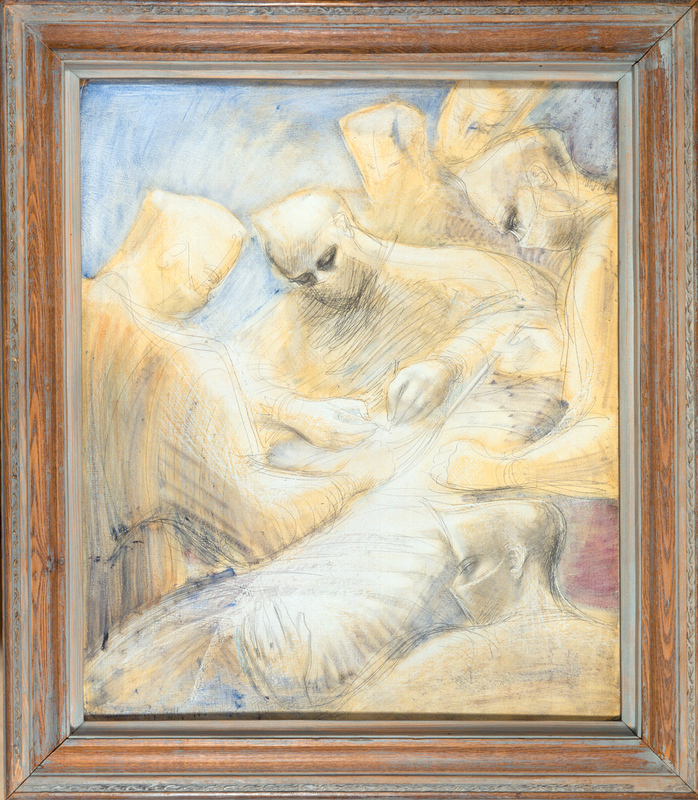 At first I was very scared but then I found there was such beauty in the coordinated human endeavour in the operating theatre that the whole composition-human in appearance-became abstract in shape. I became completely absorbed by two things: first the extraordinary beauty of purpose between human beings all dedicated to saving life; and secondly by the way this special grace (grace of mind and body) induced a spontaneous space composition, an articulated and animated kind of abstract sculpture very close to what I had been seeking in my own work. The piece has come out of The Higgins store and travelled to The Hepworth Wakefield to feature in a new exhibition which runs from 27th October until 3rd February. 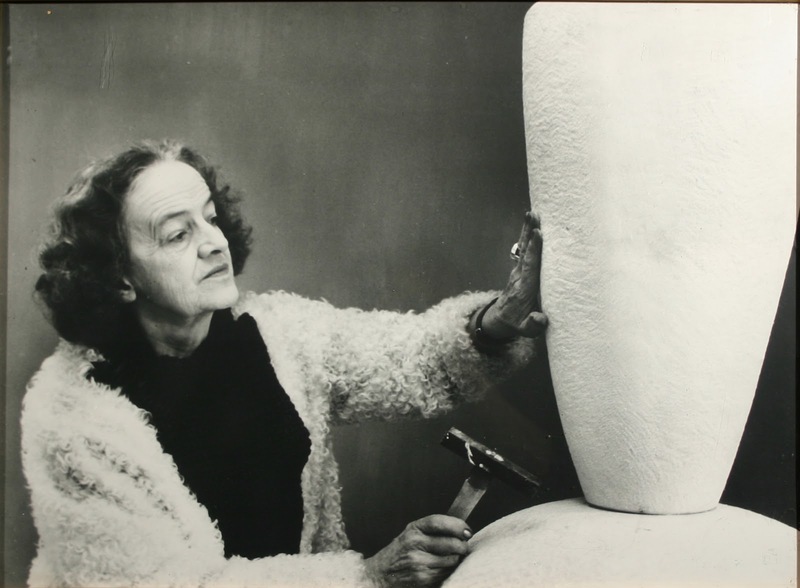 Hepworth – The Hospital Drawings is the largest gathering of these powerful studies and reveals a very different side to an artist best known for the organic forms and highly finished surfaces of her sculptures such as The Higgins own Four Figures Waiting of 1968. 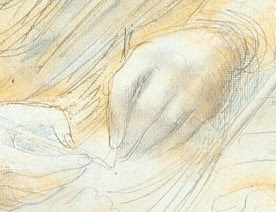 Quartet isn’t the only work out and about, the Dulwich Picture Gallery are currently borrowing two of our works by John Sell Cotman (1782-1842) for their exhibition Cotman in Normandy which continues until 13th January 2013. Barbara Hepworth, Four Figures Waiting, 1968. Cast bronze.